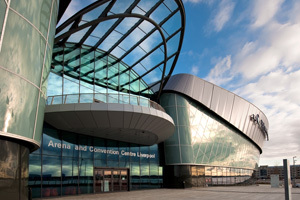 The Royal College of Obstetricians and Gynaecologists (RCOG) has chosen ACC Liverpool to host its 33rd British International Congress of Obstetrics and Gynaecology in 2013. The three-day event will be attended by more than 1,200 trainee, consultant and specialist obstetricians and gynaecologists from over 50 countries. It is being organised by Hampton Medical Conferences, will run from 24 to 26 June and will comprise meetings and seminars, and exhibitors. ACC Liverpool, which includes the BT Convention Centre and Echo Arena, will be the main venue for the event, with its social programme being held at Liverpool Cathedral. Lynn Whitley, RCOG’s director of meetings, said: "We put together the bid for Liverpool as it’s one of the few places we knew could cope with accommodating our growing demands. It’s great to know that they have the latest facilities and the venue is purpose built for meetings such as ours. "The venue has integrated AV facilities, which will be useful for us to webcast our meeting internationally and perform live demonstrations if necessary. We are really looking forward to our 2013 event just as I’m sure the delegates are keen to experience the city of Liverpool." Kerrin MacPhie, ACC Liverpool’s director of sales, added: "ACC Liverpool has established an unrivalled reputation across the medical sector due to our understanding of the demands of these types of events. This decision is a reflection of the commitment that we have to surpass expectations and really drive Liverpool forward as one of the UK’s leading destinations for meetings, events and exhibitions."